These cookies are defective! One of the humans has received the SAME saying as I have. Sigyn, look in the other half of our cookie and see if there’s anything else in there. Hold! What’s this?! The horrible red monster has returned! Prepare to die, you chitinous…! Wait– It is apologizing? It wants to be friends now? Ah, I see. It has received some good advice. Welcome, minion! I was able to drive the red-clawed menace away. 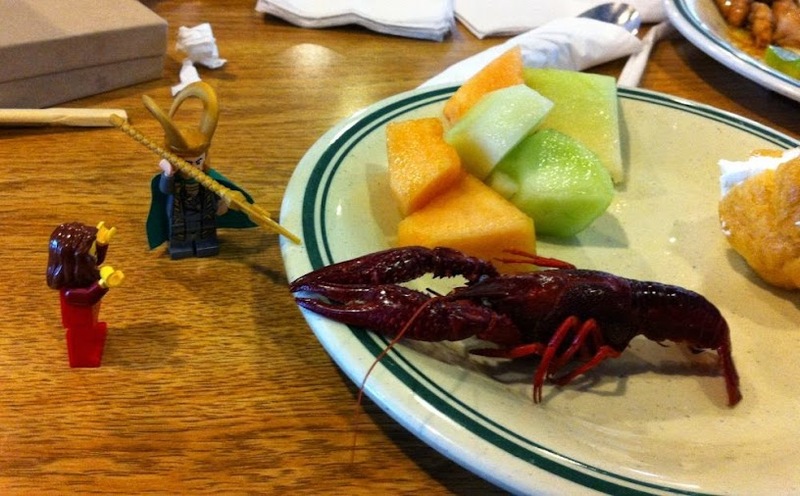 The meal can proceed! We have reached the dessert. 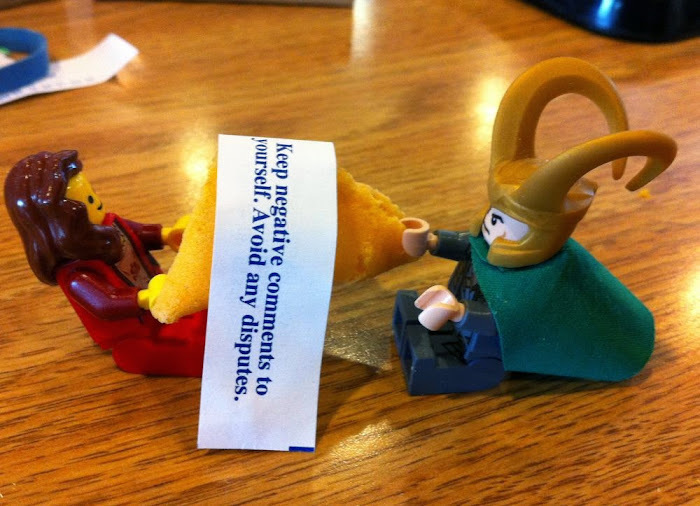 Sigyn, observe this cunning cookie! The humans are breaking theirs open to reveal strips of paper with wise sayings on them. I am already very nearly omniscient, but by all means–let us break one open and obtain some wisdom for ourselves! China King, Part 2–Run, Sigyn!! By Idunn’s little apples! What in the Nine Realms is this beast!? One snap of its claws could rip us in half! Run, Sigyn! I’ll hold it off while you make an escape! China King, Part 1–What manner of food is this? 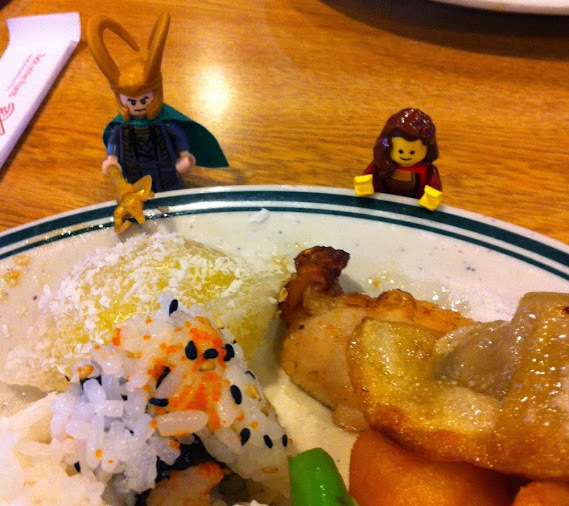 Sigyn and I have accompanied the human female and her friends to another eating establishment. I have no idea what any of this is. What are those black bits? What is that…fried thing? That other fried thing? I have poked this yellow object that is covered with some sort of flaky material. It wobbled. I am playing hide and seek with the human female. Well, it’s not so much an organized game of hide and seek as it is her wanting to find me to discuss my attitude and my mischief and me not wanting to be on the receiving end of one of her tiresome tirades. She’ll never find me here. What’s she going to do with all of these paper shreds, do you suppose? 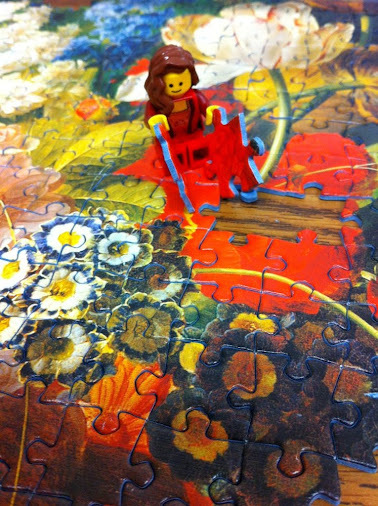 Bits and Pieces, Part 5–There’s more than one way to do this. See this piece? It looks as if it should fit here,doesn’t it? But it doesn’t. Grrr. But with a snip of a trim here and a jam of a shove there, it soon will. All it takes is a pair of scissors or an x-acto knife. 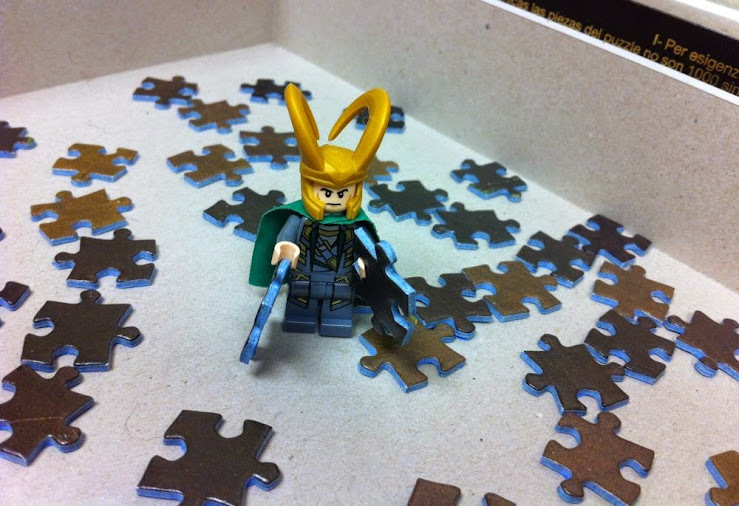 Don’t like how I assemble puzzles? Don’t thrust boxes of picture-shrapnel at me. Bits and Pieces, Part 4–What–another one? I thought we were done with this puzzle business, but apparently not. The human female and her cohorts have started another one. Sigyn really likes this one–it seems to be mostly flowers. She’s doing all the interesting bits. I bet they ask me to do all the tedious background stuff. I know, I know. The background is essential to the picture. Boring! They’re mistaken if they think I’ve got the patience to fiddle about with these stupid bits of cardboard that all look exactly alike.